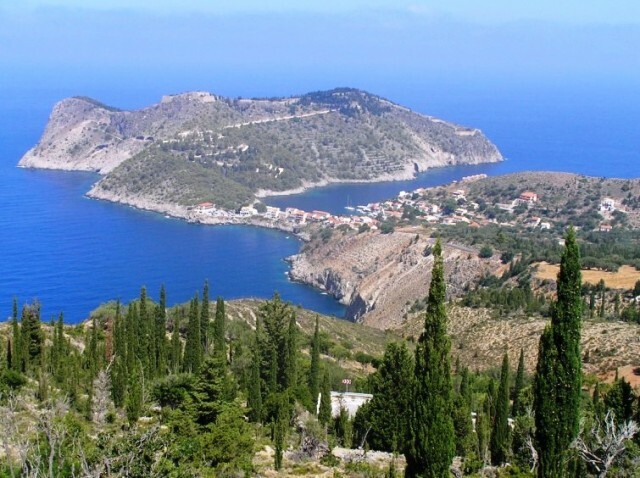 Holiday.gr - Assos, a trip to a myth! Assos is one of the most beautiful and graphic villages in Kefalonia. It is built amphitheatrically around the homonym peninsula, which is verdurous of green lands. It is a region of unique beauty. The dense vegetation of pine trees and firs meets with the deep blue Ionian waters and create an idyllic scenery. The settlement keeps its traditional authentic eptanesean architecture and is a pleasant surprise for every visitor. A stroll in the neighborhoods of Assos will fill your albums with unique photos, while a friendly talk with its residents will prove you – once again – how cordial people they are. 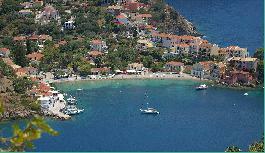 Near the peninsula of Assos you will find beautiful beaches. Apart from the homonym beach with clear shallow waters, you will find many more, small, hidden beaches, you will really appreciate. What’s good about Assos is the beach of Myrtos. It has been characterized as one of the most beautiful in Europe. It has a white shore. The route towards this extraordinary beach passes through green landscapes. As you reach it you will be definitely enchanted by it. Gigantic rocks protect the beach by winds. While the deep blue waters are waiting for the lovers of swimming. Myrtos beach is the registered trademark of Kefalonia. So, visiting it, is a must. Don’t miss visiting the Venetian castle of Assos. It was built at the end of the 15th century in order to protect people from pirate invasions. Today only part of its walls are saved, as and some buildings like the barracks and the church of Saint Marcus. Been to Assos ? Share your experiences!